The Integrated Ocean Drilling Program – United States Implementing Organization is excited to take advantage of a 16-day break between scientific operations and carry out a seagoing pilot teacher workshop on board the JOIDES Resolution during a transit from Victoria, B.C., Canada, to Acapulco, Mexico. 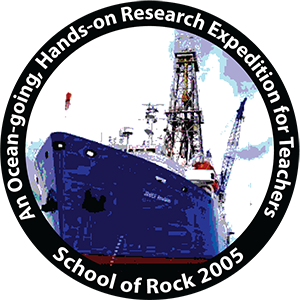 During this workshop, teachers will be mentored and taught by scientists who are actively engaged in IODP research, the USIO Education Director, and staff. In addition, shipboard technical staff will provide guidance and content related to hands-on laboratory activities.